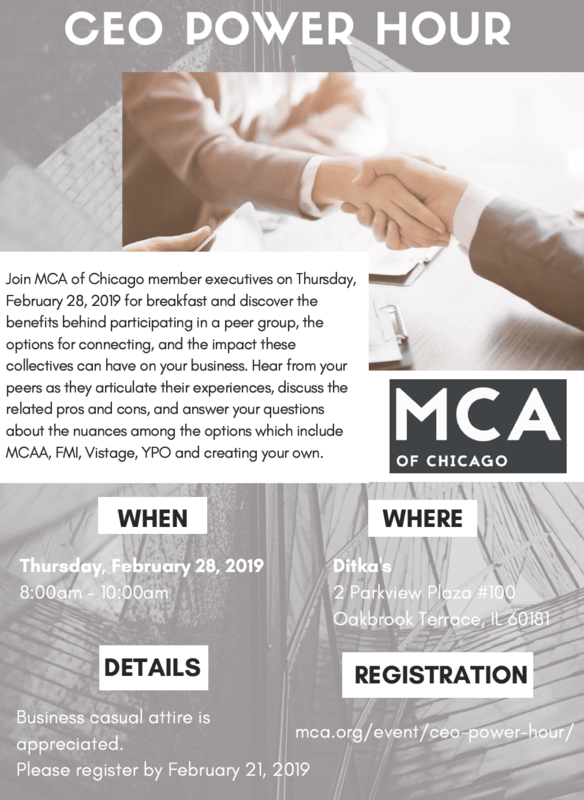 Join MCA of Chicago member executives on Thursday, February 28, 2019 for breakfast and discover the benefits behind participating in a peer group, the options for connecting, and the impact these collectives can have on your business. Hear from your peers as they articulate their experiences, discuss the related pros and cons, and answer your questions about the nuances among the options which include MCAA, FMI, Vistage, YPO and creating your own. ADDITIONAL DETAILS- Breakfast will be served. Business casual attire is appreciated.